Can Your Florida Estate Collect Any Refunds Owed to You? 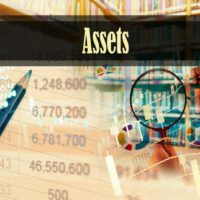 In preparing your Florida estate plan, it is generally a good idea to make a list of all the assets you presently own. This can make it easier when figuring out how to divide your property among your chosen beneficiaries. It can also give you a rough idea of how big your estate will be, although obviously that figure could change significantly between now and the time you pass away. One thing many people to neglect to consider when making such lists is any money or property that may be owed to you. This can include something like a promissory note for a personal loan you made to a family member. But you should also consider any refunds you may be owed upon or after your death. While this may not represent an especially large amount of money, it is still property that rightfully belongs to your estate, and which your heirs might find useful in the days and weeks following your death. For example, if you were required to make a significant deposit or entrance fee to enter a nursing home–which can run into thousands of dollars–your estate or heirs may be entitled to a full or partial refund upon your death. In fact, such a refund was the subject of recent litigation in Florida. A woman moved into a nursing home in Pensacola. She signed a residency contract that required payment of a “substantial” upfront fee. Provided she passed away within a certain time, a portion of the fee would be refunded to the woman’s two adult children. Unfortunately, after the woman passed away, the nursing home did not provide the full amount of the refund owed. The home asserted the right to “offset certain amounts” from the refund for “discounted services” provided to the mother prior to her death. The children balked at this and sued the nursing home. A Florida judge subsequently ruled in favor of the children. In the case above, the right to the refund was directly assigned to the children. But in many other scenarios, it is the responsibility of a person’s estate–i.e., the executor or personal representative–to make sure any refunds are properly collected. For many estates this will include what is perhaps the most famous type of refund in the U.S.–a federal income tax refund. Your executor is required to file a final Form 1040 covering that part of the taxable year preceding your death. If there is any additional income earned after you die, such as from investments, the executor must file a separate return on behalf of the estate, which is known as a Form 1041. For either return, your estate is entitled to the same tax refund you would have received were you still alive. The refund then becomes another asset of your probate estate. Need Assistance with Your Florida Estate Planning? Taking inventory of your assets–and potential assets like refunds–is an important stage in the estate planning process. If you need assistance from a qualified Fort Myers estate planning attorney, contact the Kuhn Law Firm, P.A., at 239-333-4529 to schedule a free consultation today.